There was district in Merthyr Tydfil south of the Brecon road and bounded by the canal and the Abermorlais / British tip (not far from Bethesda Chapel), which was known as ‘China’. There was not one Chinaman in nineteenth century ‘China’, although the district ‘China’ in Merthyr Tydfil did have its own Emperor. 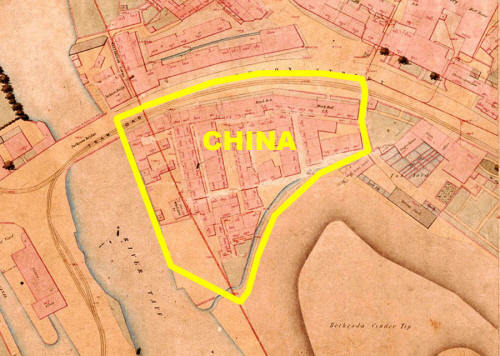 ‘China’ was not a Chinatown in the same way places of this name exist today. ‘China’ may not have been unique, as every large city had its rough ‘no go’ area, but at one time it was the most notorious district in the whole of Wales. The terms from ‘China’ and ‘Chinese’ are used frequently in the police reports, but always with inverted commas to indicate that this was merely a nickname. The census returns, which were taken every ten years from 1841, prove that the residents of ‘China’ were from all over the country. These ‘Chinese’ residents were mainly English, Irish and Welsh, but at times there were also some Germans and Eastern Europeans. A Jewish businessman was ridiculed in the newspaper for spending too much time with the ‘ladies of China’ until he found himself robbed by them. There were a number of Merthyr Tydfil newspapers published from 1832 onwards and the Merthyr Telegraph had long accounts of ‘China’, mainly under the ‘Police Court’ column. When young men stray into China and escape with little more than the clothes on their backs, generally the judge had very little sympathy for them for being foolish enough to enter this dangerous area. There are two interesting articles written on the subject, one by the historian David Jones, who was the expert on crime in Wales and the other by Doctor Keith Strange, whose doctorate is about Merthyr Tydfil in the 1840s. Keith’s fascinating article, ‘The Celestial City’ describes ‘China’ as a den of drunkards, thieves, rogues and prostitutes, whose general behaviour was completely foreign to the normal hard working respectable Welsh Chapel way of life. He once said that he thought the term ‘China’ might have arisen because Britain had a long ‘Opium War’ with China and the early nineteenth century newspapers are full of stories of China as the dreadful land of our enemies, and foreigners; equally ‘China’ in Merthyr Tydfil was the land of undesirables and foreigners (possibly also the place where opium could be smoked). China was in the news and it was known that here was the ‘Forbidden City’ which no one could enter and return from alive. Few strangers were able to return safely from ‘China’ in Merthyr Tydfil with all their possessions. The attitude of police was that you entered China at your peril; certainly the police themselves did not dare go into China. Entering China was not easy as the district was bounded by water, a dangerous smoking tip and a row of large dwellings, the entrance to ‘China’ was under an arch and there were door-keepers to send messages warning the residents. However, by the 1880s there were reports in the Merthyr Express that ‘Old China is not the same’. 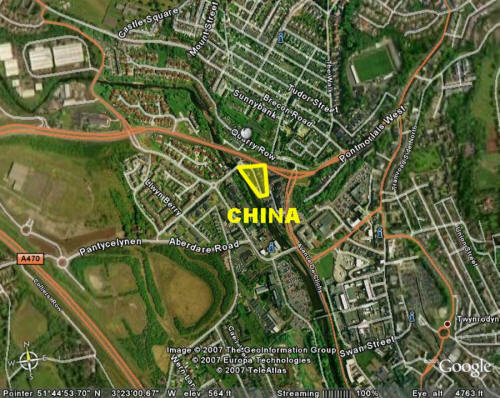 Gradually ‘China’ declined; the professional criminals moved to Cardiff for richer pickings and in the twentieth century ‘Riverside’, which also had an entrance under an arch, became the most notorious part of the town. Although it must be said that many people today remember old Riverside as a place with very decent people. The area known as 'China' is highlighted below on this modern day aerial shot. 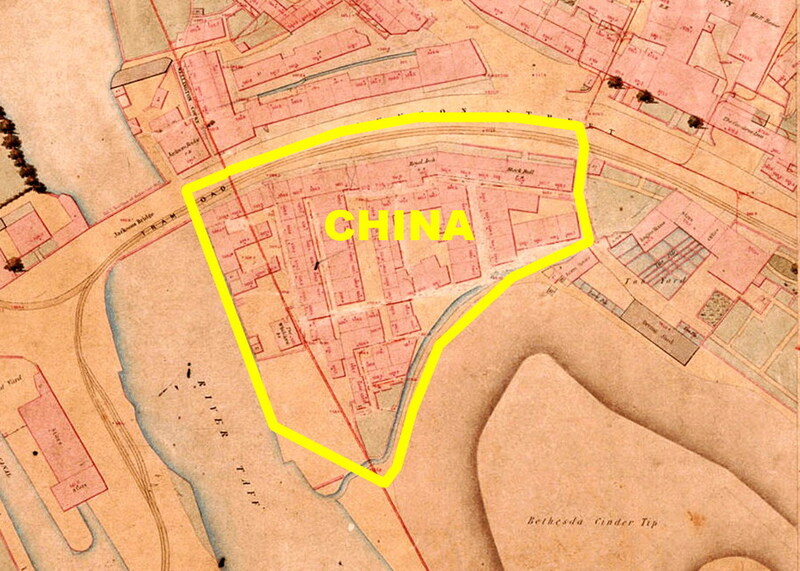 This extract from the '1851 Public Health Maps' (Available in our shop on CD-ROM) clearly shows the area known as 'China'. 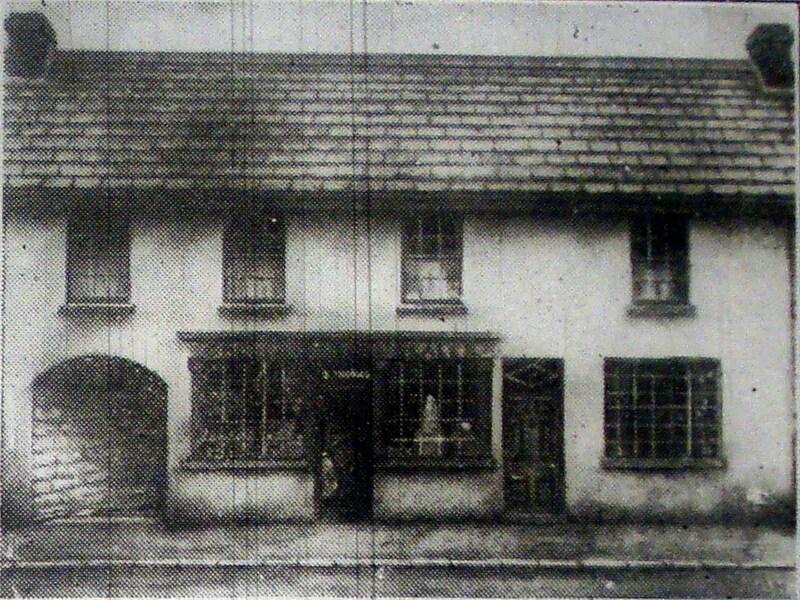 This photograph from the 1890s shows the Pontstorehouse Shop, which was situated approximately near the entrance to Dixon Street, and the archway (which can be seen on the left hand side) appears to be one of the few ways of entry from Bethesda Street to China. Do you have any photographs or information regarding 'China', Merthyr Tydfil?